Saroo to stay put; Guddu would come back shortly to reclaim him. When Saroo awoke, Guddu was nowhere to be found. Although Saroo screamed for him, he could not find him. Saroo boarded a train and hoped to return to his home, but instead he was taken over a thousand miles away to the big city of Calcutta. He screamed out for help as the train carried him far from his home, but onlookers simply looked away. Saroo missed his brother and mother, but was unable to find them. When he disembarked the train, he began to ask onlookers in the busy station to help him get back to his hometown, but Saroo did not speak the common language of Calcutta; he spoke Hindi while those in the city spoke Bengali. Unable to speak the language of the region, and unable to pronounce the name of his hometown, Saroo was utterly lost. A group of homeless kids in the train station provided a brief sense of belonging to Saroo, but they were quickly chased by a group of men trying to abduct them. Saroo barely escaped, running past a security officer who offered no help. Saroo was alone in a dangerous big city. A young woman, Noor, realized that Saroo was lost, alone, and unable to get back home. She brought him into her home and cleaned him up. She told him that Rama would come soon, and that Rama is a good man who helps everyone. However, when Rama arrived, he laid next to Saroo on the bed, and told Noor that Saroo was “exactly what they’re looking for.” Saroo was understandably spooked, and he ran away again. After a few months on the street, someone helped Saroo identify himself as a missing person; however, he did not know the given name of his mother – only that she was called “Mum.” This, and his inability to convey the location of his hometown, made it impossible for the well-meaning authorities to reunite Saroo with his family. Saroo was taken to an orphanage, where some children were punished harshly. A social worker, Mrs. Sood, met with Saroo. She told him that, despite her efforts, she was not able to locate his family. She spoke to him about adoption, and let him know about a family in Tasmania, Australia that wanted to adopt him. Saroo asked whether Mrs. Sood really looked for his mother, and she assured him sadly that she had looked everywhere. Saroo travels to Tasmania and meets his new parents, the Brierleys. They’re happy to see him, they understand that he has come a long way, they understand that he has had a difficult road. Mrs. Brierley expresses that she wants to know all about Saroo’s past, and promises that she’ll always listen. A year later, the Brierleys adopt Saroo’s brother, Mantosh. Mantosh has some destructive behaviors, but the Brierleys embrace him and he becomes part of their family. The Brierleys chose to adopt and they did not have infertility issues. They always hated when people assumed that they adopted because they were not able to conceive. They explained, “having a child might not make the world better, but taking a child who is suffering and giving them a chance” is better. Twenty years later, Saroo is pursuing a career in hotel management. When his classmates learn that he was born in India, they ask him where he is from. This makes Saroo pause; he says, “I’m adopted, I’m not really Indian,” but he also remembers that he is not from the big city of Calcutta, but from a small city that he can’t remember. The sight of a familiar treat from his childhood draws him back into his past. He confides to a friend, “I’m not from Calcutta. I’m lost.” Saroo begins to share his story with his friends, who understand it to different degrees. 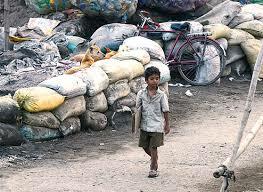 He begins to realize that his mother would not have been able to search for him easily because she cannot read. He believes that his mother and brother have likely always been looking for him, and because he believes that they must be in emotional anguish because he is lost, he becomes driven to find them. His quest to find them puts strain on his friendships and, to some extent, on his relationship with Mantosh. Saroo’s adoptive parents never express reservations about his desire to find his birth family; they are consistently loving and supportive. Saroo taps into his memory and uses Google Earth to help him pinpoint the town he was from has a child. It amazed me that this information was both in his mind and photographed on Google Earth for some time, he just needed to connect his knowledge to the technology to find his hometown. After locating his home, Saroo goes there. The streets are familiar to him. He finds his mother and sister, and they embrace him gladly. Saroo’s birthmother understands that his adoptive parents are his family, but she is overjoyed to see him again. She has never stopped hoping for his return. Saroo’s adoptive parents embrace his birth mother as part of Saroo’s life, and Saroo expresses that finding her has answered his questions without replacing his adoptive parents. 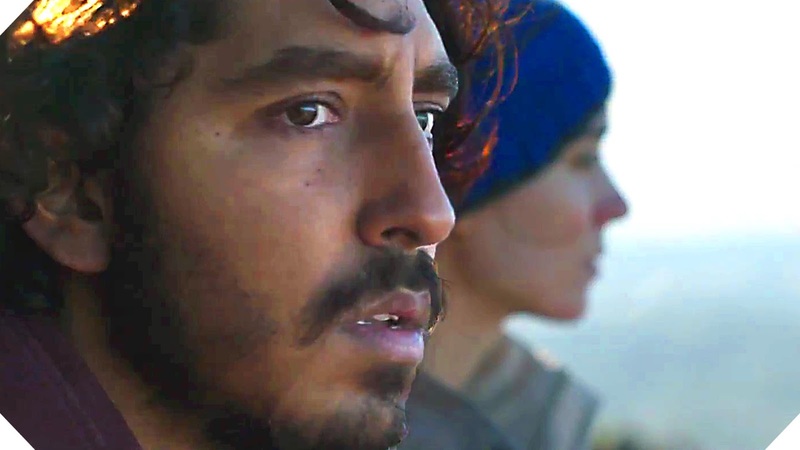 LION responsibly, realistically, and healthily portrays search and reunion in adoption. Saroo’s adoptive family consistently supports his acceptance of his history. They support his desire to find his birth family, and rejoice when he finds them. Saroo’s birth mother has always waited for Saroo to return, yet she also fully accepts that Saroo’s adoptive parents are his family; she is grateful to them, and understands that Saroo is part of their world. Saroo finds his birth mother, and through her is able to find all the answers that he needs; finding her fills gaps in his life story but does not replace his adoptive family’s role in his life. Saroo does not give up when well-meaning friends tell him that he needs to accept that his birth family is lost forever. He keeps looking. Although Saroo briefly implies that his adoptive family is not his “real” family, he ultimately realizes that his birth family and his adoptive family are both his real family. Saroo is given room and grace to experience the range of emotions and thoughts that accompany his journey. Saroo is always trying to do well by those in his life. The film captures how Saroo’s long-ignored past is still present in his dreams and memories. A child is unexpectedly hit by a vehicle. There are some sad elements to the story. It’s not geared towards younger kids. That said, it’s absolutely worth seeing for adults interested in or touched by adoption. 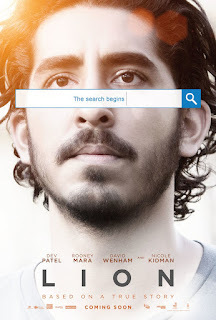 Lion is beautiful, powerful, engaging, honest, and responsible in its portrayal of the process and emotions involved in adoption search and reunion for adopted people and those who love them. This film should be in adoptive families’ libraries. This gets Adoption at the Movies’ highest recommendation, and is geared towards adults and perhaps some teens. Why did Saroo want to find his birth family? What questions were answered by him finding them? How would you respond if your adopted child wanted to find their birth family? What did Saroo finding his birth family mean for him? What did it mean for his birth mother? What did it mean for the Brierleys? Glad that he was able to reunite with his birth family. It's important for the adoptee to know all his history along with the birth family history. Everyone Has a right to their heritage and secrets are open and people are able to understand all the aspects of adoption. Hi Chris - long time no see! I love this movie because Saroo does find his history, and finds it to be helpful and healing. I hope you check it out! Thankyou for this review. I was present at a premiere event with the "real" Saroo and his Mum Sue. I am an adoptive parent too. Overall I enjoyed the film but it did raise a few things for me. Firstly, whilst it was a very positive story of reunion with birth parents/family it is important to remember that not all adoptees will find or have positive experiences with reunion. The other point is to consider the difference between Mantosh and Saroo. Saroo was with his birth mother for his formative years. Mantosh, we don't know for sure, but I presume he missed out on the early attachment and this has resulted in his issues with trauma and attachment challenges. I just found it interesting as an adoptive parent with a child with attachment issues how the film portrayed Mantosh and I keep wondering what this has contributed to his story and whether he allowed his story to be portrayed. I would have liked to see how the family got support for this and hope there are no misconceptions that Saroo's experience is common, because, in reality, I think the Mantosh story is by far the most common and challenging one. Thanks. Hi Suz! Thanks so much for sharing your experience. How awesome that you got to be there with Saroo and Sue! You're right that not every experience of reunion is a positive one. I think that, many of the negative ones can also be healing to some extent, and some aren't positive or negative, but rather, mixed. And some are just painful. It's hard to know what will be the case, so it's really helpful to have supportive family journeying along with the adoptee on the road to reunification. The documentary CLOSURE is another really good portrayal of the emotions and complexities involved in reunion. You raise a very important and interesting question about Mantosh. I hope he was consulted about his story's inclusion in the film. His story is real, too. My friend took her young child, age 10, to see this and loved it. I am considering taking my two children, who we adopted at birth (they are now 9 and almost 11), but it sounds as though you are not recommending it. What do you think? That's a hard call; it's hard to predict how a specific kid will react to a specific film. Saroo is pretty young when he gets lost, and his sense of helplessness and panic when he's lost is pretty powerful. It is a good movie, but it's also pretty sad. My best advice would be to watch it first; you've probably got the best knowledge of your kiddos, and would be the best person to make the call. It might be risky to have them watch it before you screen it -- Good luck!